You have enrolled in a market livestock project. What’s next? The animal identification process for youth market livestock involve no live weigh-in of beef, sheep, or swine. Livestock will be identified through the Meat Animal Sale Committee by tagging livestock, hair DNA, and registration. Please see the colored hyperlinks below for information. 2019 Junior Market Swine Identification for the Dodge County Fair is open. Identification kits will be available from the Extension office upon request. 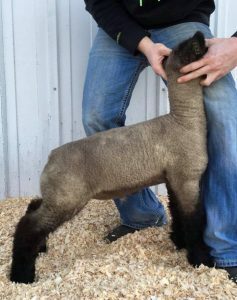 2019 Junior Market Sheep Identification for the Dodge County Fair is open. Identification kits will be available from the Extension office upon request. 2019 Junior Market Beef Identification for the Dodge County Fair is CLOSED. All meetings are held at 7:00pm at the Dodge County Administration Building, 127 East Oak Street, Juneau unless otherwise indicated. MAQA (Meat Animal Quality Assurance) has moved to the National YQCA Program starting the fall of 2017. Youth for the Quality Care of Animals (YQCA) is a national multi-species quality assurance program for youth ages 8 to 21 with a focus on three core pillars: food safety, animal well-being, and character development. YQCA is available as an online program for youth everywhere in the United States. YQCA in-person workshops may be available to youth where state 4-H or FFA offices or state/national livestock organizations have partnered to have qualified trainers offer in-person workshops. All youth who may have a beef animal marketed through Equity or Milwaukee Stockyards will also need to have completed YQCA to meet new (Jan 1, 2019) guidelines. All youth who wish to exhibit Beef, Dairy, Goats, Poultry, Rabbits, Sheep, or Swine at the Wisconsin State Fair will be required to complete YQCA training. Designed for youth ages 8-21, each year the participant will receive unique curriculum depending upon the age of that youth. Each year’s lesson is designed to provide an estimated 60 minutes of education. The online program includes three components for each topic (food safety, animal well-being, and character development). Each topic consists of a knowledge builder, skills lab and quiz, and are designed specifically for each age group. A pass rate of 80% has been established for each quiz with students being able to repeat the module if needed. Youth can complete this training at their convenience. This is an instructor led workshop for youth ages 8-18. Attendance for the entirety of the training is required for completion of the course. Dodge County UW-Extension will provide 3 in-person training opportunities for 2019. Youth will be able to attend trainings hosted in Dodge County or by other certified trainers across the state. Some in-person trainings might have additional costs associated with the program at the discretion of the trainer. This option is for youth 12, 15, or 19 years old as of 1/1/2019. The test out option will only be good for 3 or 4 years depending on your age bracket. Youth wishing to complete YQCA training on-line or in-person will be required to sign up for the training at yqca.org. Contact Amanda Young at the Extension office for more information. Dodge County will be holding three (3) in-person YQCA trainings. Instructor-Led Training Certification: (In person training workshop) Instructions for creating an account, navigating the account, purchasing a course, and completing certification. Web-Based Certification: (Internet based training workshop) Instructions for creating an account, navigating the account, purchasing a course, and completing certification. The Dodge County Meat Animal Sale Committee is again sponsoring a Trivia Night Event on Saturday, March 16th, 2019 at Dodgeland High School. Proceeds from the Trivia Night will go towards improvements in the large animal buildings at the Dodge County Fairgrounds to install a ventilation system in the swine barn, new lamb pens and money towards a livestock scale for the future. There will be lots of fun to be had at the Trivia Night. The doors will open for entrance to the players at 5:00 p.m. and trivia will begin promptly at 7:00 p.m. Food will be available for purchase beginning at 5:00 and running throughout the night. There will be 10 rounds of 10 questions in each round. We are looking for teams of 8 players on each table to play trivia. Each table of 8 will be $80; $10 per person. Round sponsors are $250, and will have their advertising listed on one of the round answer sheets, as well as a ”Supporting Sponsor Sheet” which each contestant will be given to take home with them. All contributors’ names will be mentioned and thanked during our program night. Throughout the evening there will be door prizes given away and additional fun and exciting games for everyone to play. There will also be other raffles to enter that night as well. If interested, please fill out the Trivia Team Registration Sheet- $80 for table of 8 participants in the County Newsletter, and/or Round Sponsor -$250 per round. MADISON – Swine moving into and within Wisconsin will have to meet new testing requirements beginning Feb. 1, State Veterinarian Dr. Paul McGraw announced. The new requirements are intended to help control the spread of two diseases: swine enteric corona virus disease, known as SECD, and porcine reproductive and respiratory syndrome, or PRRS. Both have caused significant hardship in the swine industry. Neither is a human health threat. A report showing that they came from a herd that has tested negative for the two diseases in the past 90 days. A veterinarian’s statement that the animals showed no signs of either disease when they were examined. A statement from the event veterinarian, if they came through an out-of-state sale or exhibition where they were mixed with swine from other herds, that all the herds tested negative and that none showed signs of either disease. Swine that don’t meet these requirements can enter Wisconsin with a CVI and import permit from the Department of Agriculture, Trade and Consumer Protection. 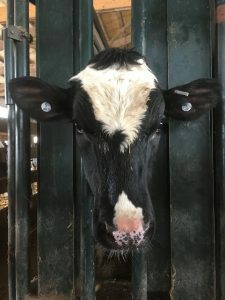 However, they will be quarantined until a Wisconsin veterinarian has developed a herd plan addressing testing and biosecurity, and DATCP has approved the plan. If the swine go directly to slaughter or to a veterinary clinic for treatment, or if they are returning from an out-of-state veterinary clinic, they do not need to be tested. Exhibitors who move swine into and out of the state for fairs or other exhibitions must notify DATCP. If their animals are potentially exposed to swine from positive herds at the events, they will be quarantined on return until they have a herd plan approved. They can get a herd plan approved before leaving the state, which may avoid a quarantine. Swine moving within Wisconsin must now also test negative for PRRS and SECD within 90 days of movement, unless they’re going to slaughter, either directly or after a terminal fair or show. I am a youth livestock member. How do I find out about events? What do I need to know about being in a livestock project? Is the “Beef Feeder” project the same as the” Beef Project”? Who is the MAS Committee and what do they do? I am a youth – how can I participate in the meat animal sale? What are “educational points” and how do I earn them? What is the “orange card” everyone talks about? What are the livestock rules for Wisconsin State Fair? How do I get involved in Livestock and Meats Judging? What can I study for Livestock Quiz Bowl and Skillathon? Where do I find livestock management resources? What is YQCA (Youth for the Quality Care of Animals)? How can I buy livestock at the county fair meat animal sale? Thank you for your interest in, and support of, our county livestock youth and their meat animal sale! Our sale is Thursday evening, during our county fair. A Pre-Sale Buyers Luncheon and Awards and Recognition Announcements precede the sale,. The sale begins promptly at 7 p.m.
Our sale order is: 25 beef, 14 sheep, 25 hogs then repeat rotation again with 25 beef, 18 sheep and 25 hogs. Champions will sell at the beginning of the first rotation as that specie comes to the sale floor. If you registered as a buyer at last year’s sale, we will send you a mailing around early August with details for the evening of the sale, including free tickets to enter the Fairgrounds. If you have not attended our sale, but would like to, please contact the Dodge County UWEX Office at 920-386-3790 to be added to our mailing list. Review the Dodge County Junior Fairbook , located at the Dodge County Junior Fair webpage, for all Junior Livestock Show and Sale Rules. The Dodge County Meat Animal Sale is held at 7 p.m., on Thursday night of fair week. To be considered for the Meat Animal Sale, animals must be identified in spring (January for market beef, and May for market lambs and hogs). At Online Fairy Entry time, livestock animals must be entered in the correct market class to be considered for the sale. Youth (or their parents) must attend either the Pre-Sale meeting (usually in June) or the Post-sale meeting (usually in September). These are the only meetings which parents may attend for their children. Youth who wish to participate in the sale must meet MAS educational requirements (explained below). Youth must attend the event to earn the educational point – parents may not earn educational points for their children. Swine Project Youth must have current Youth for the Quality Care of Animals (YQCA) certification. Meeting attendance is recorded on the Livestock Project Member Activity Card (see below). Completed Livestock Project Member Activity Card, including Premise ID, for each youth. A completed & signed County of Origin Labeling (COOL) Form for sheep- both purchased and homebred. For swine, completed and signed health papers. Pre- and Post-Sale Meetings, Educational Meetings, and YQCA classes are listed on our Dodge UWEX Calendar. Be sure to review the 4-H Calendar and call the Dairy and Livestock Educator with any questions at 920-386-3790. “4” points are required and can be obtained by attending educational livestock events. AT LEAST 2 of the points need to be earned at a county or state educational event. For some youth who have no means to have “local club” learning events, it is always possible to have all 4 or more points obtained from county or state events. If an “out of county” event is where a point will be obtained, use the back of the card to explain the event AND obtain a signature that can be identified, and a phone number, so a call may be given if the committee has questions. No educational event may give a youth more than 1 educational point (even if another county’s youth obtain 2+ points for such an event). Youth attending college may obtain a point for agricultural events attended by obtaining approval from the MAS committee. NOTE: The Beef Feeder Replacement Project is good for younger members to gain experience working with a bucket calf and showing younger beef animals. This is NOT a market animal. After clicking this link, scroll down to “Record Books” and “Livestock – Feeder Beef” to find project booklet. Wisconsin State Fair Junior Livestock Information is posted when available at the Wisconsin State Fair website. Check there often for current deadlines and detailed information. Practices start in fall and are a great opportunity to learn more about your livestock project animals through judging! After you click the above link, click on the YouTube icon on the upper right of the page. This will take you to the Wisconsin Youth Livestock Program channel where you will find the beef, lamb and swine ultrasound videos. These videos, each about 10 minutes, will help you follow up with what carcass data means and how it coincides with what actual carcasses look like and where measurements are taken. The beginning part of the video narration is the same in each video, the differences come in when the carcass data is explained. Contact Dodge County UW-Extension for Livestock Quiz Bowl & Skillathon practice dates/times and coach information. To provide 4-H members, FFA members and Dodge County Youth Organization members an opportunity to have market livestock projects evaluated. To provide incentive and to encourage greater participation in livestock feeding and production projects. To recognize Youth Project Members who do quality work in selecting, feeding, and showing livestock projects. To teach a greater understanding of meat animal evaluation, animal husbandry, ethical care and treatment of animals, and showmanship. To establish rules and enforce compliance of regulations for participation in the Dodge County Meat Animal Sale. To examine and act upon issues and concerns expressed by Youth Project Members and people affiliated with a Dodge County 4-H, FFA or Youth Organization.